My only white peony. - Welcome to The City of Desire. 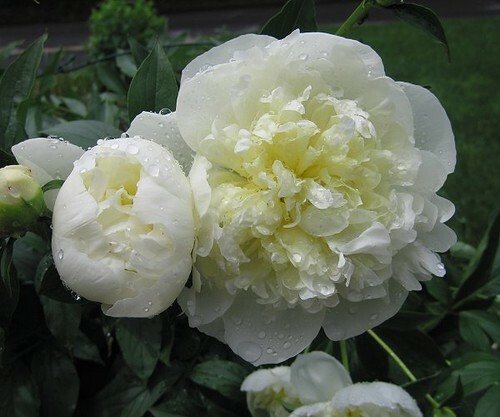 Peony Duchesse de Nemours, After the Rain., a photo by Leenechan on Flickr. Duchesse de Nemours, after a rainstorm. It has a lovely fragrance.